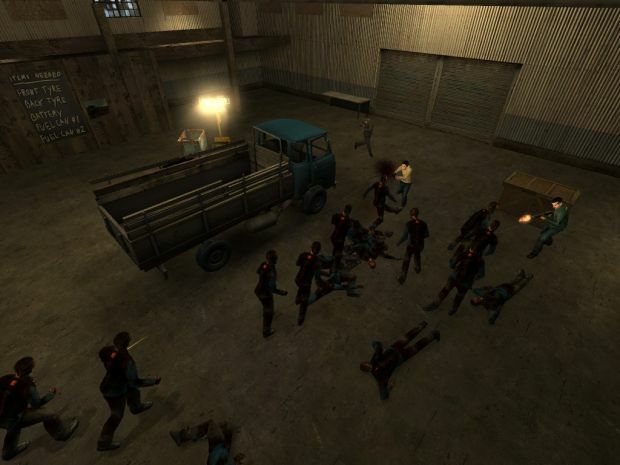 Zombie Master is a multiplayer Source modification, centred around a zombie-apocalypse, which throws all but one player in the shoes of human survivors. Pitched against a relentless tide of rotting flesh, they must scavenge for weaponry and equipment just to stay alive. But that one player, chosen randomly at the beginning of the round, is not bound by mortal restraints. To speak his name is to invite the wrath of hell - but most call him the 'Zombie Master'. He is nigh omnipotent. His invisible hand controls the legions of undead like puppets on strings; slowly closing the net on the humans while they run to and fro like rats in a maze.